Can you tell us about the online MBA program offered at Fort Hays State University? This FHSU MBA provides a high-quality curriculum available 100% online. Whether you are looking for professional advancement or personal enrichment, FHSU provides a quality, convenient and affordable MBA program. We offer a 34 credit hour MBA program with concentrations in Marketing, Tourism & Hospitality Management, Health Care Management, Sports Management, Finance, Management Information Systems, Information Assurance, Human Resource Management, International Business, Corporate Communication, Digital Marketing, and Leadership Studies. 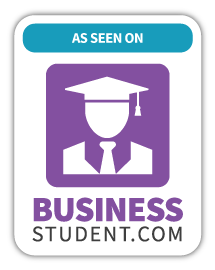 Students entering the program are not required to have a bachelor’s degree in business. We have foundation courses designed to provide the background needed to be successful in our MBA courses. The GMAT is required, but we will waive the GMAT/GRE for applicants with a business degree and an overall GPA of 3.5 or better from a regionally accredited undergraduate program. Applicants who have earned joint or dual business degrees in partnership with regionally accredited U.S. institutions must submit a GMAT or GRE score. How long does a typical online MBA program take at FHSU? What is the maximum and minimum time of completion? Full-time students can complete the 34-hour program in 18 months, but the majority of our online students are part-time students who hold full-time job or family responsibilities. Part-time students typically finish in 2.5 years. All students have 8 years to complete their degree. What do you think makes FHSU online MBA program stand out from other online MBA programs offered by similar schools? People – faculty, students, alumni, and a full-time academic MBA advisor make us stand out. Additionally, the flexibility and affordability of a program with a long history of success. We’ve offered an MBA at FHSU for over 40 years. This will be our 10th year of offering our program completely online, as well as completely on-campus. FHSU is accredited through the Higher Learning Commission of the North Central Association of Colleges and Schools. Our faculty believe it is very important to hold the MBA program to these accredited standards and more. As mentioned, many of our online students are working full-time. As such, the employer has the benefit of seeing a good employee better their education without leaving their current position. Some of our alums report they move up in their current organizations after graduation. 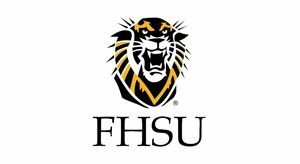 Does FHSU offer job placement for students who graduate with an online MBA degree? FHSU does have a Career Services office. This offices helps both on-campus and online students in the job placement process. FHSU has an excellent Financial Assistance office. Many of the students in the MBA program work with this office to determine the type and amount of aid they qualify for. Several students also have funding through their employer tuition assistance programs outside of FHSU. Don’t hesitate to ask questions! At FHSU, we are here to help you and guide you on your graduate education journey! What do you enjoy most about your position at FHSU? For me, it is the students. As an academic advisor and coordinator of the FHSU MBA, I enjoy helping a student with their first steps or last steps in becoming an alumnus of our institution. For more information on the online MBA programs offered at FHSU, visit them online. Thank you Rachel, for sharing and participating in this piece. Fort Hays State University is a public, co-educational university in Hays, Kansas. It is the third-largest of the six state universities governed by the Kansas Board of Regents, with an enrollment of approximately 15,100 students.